YKK AP is an Architizer A+ Awards Finalist! Help us Win! 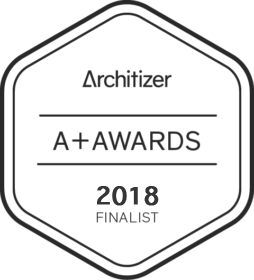 This year, YKK AP America is proud to be an A+Awards Finalist for its four-sided structural silicone glazed curtain wall system, the ProTek® YHC 300 SSG Cassette. This hurricane impact resistant system features a versatile framing design, horizontal stack joints for multi-spans and glazing options for 70 and 90 psf. Help us become a winner! VOTE for the YHC 300 SSG Cassette in the Glazing Systems and Facades category here: vote.architizer.com. Simply log in and vote between July 10 and July 20 – it’s free and quick!